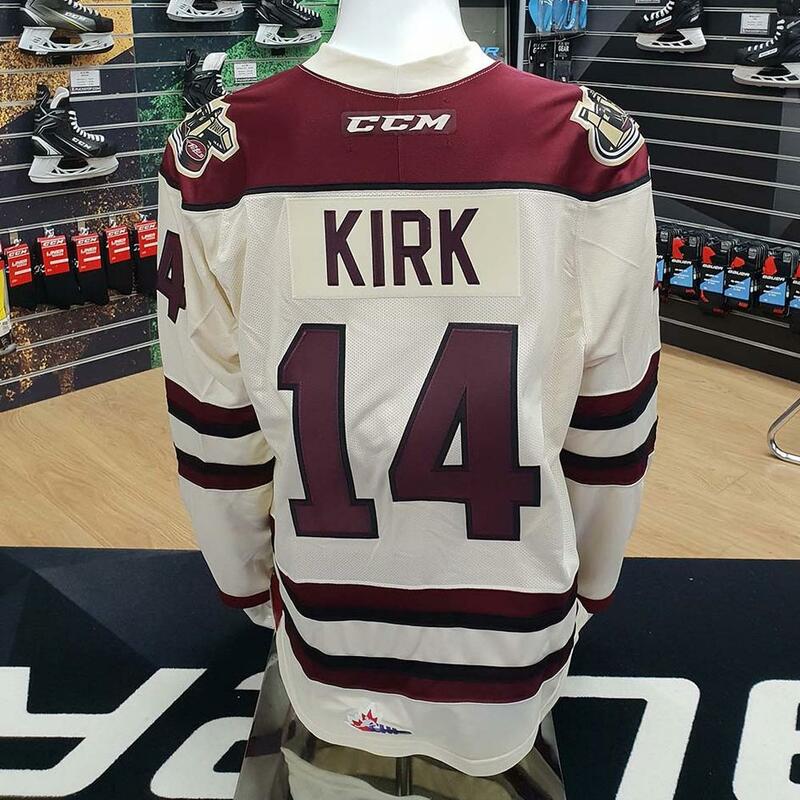 The customised Liam Kirk Peterborough Petes Jerseys have finally arrived in store! Check out the video below to see Liam help pack and ship the jerseys himself, plus his special message for his GB based fans. The jerseys will be available online only from noon on Thursday 25th October. We have sizes from Small through to XXL in the Black, Cream and Maroon. These are a limited edition run of jerseys, so quantities are limited, be sure not to miss out! Ed Note: All jerseys have now sold out.